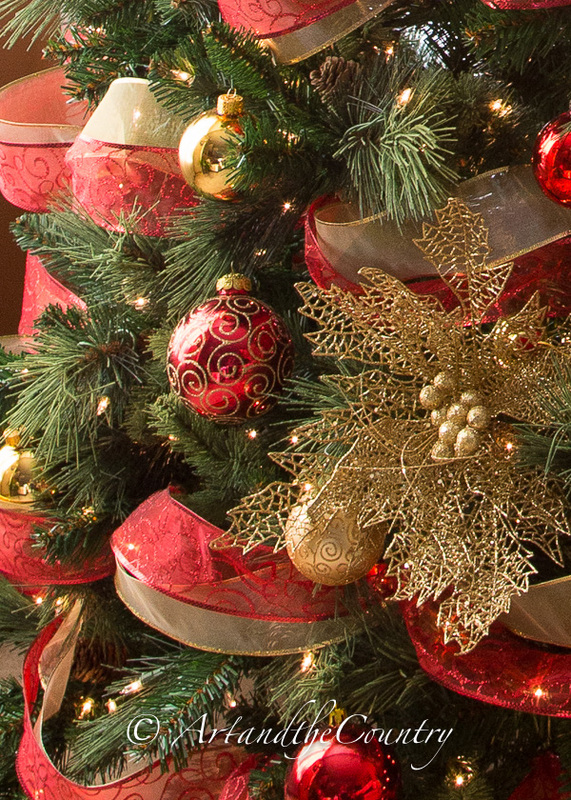 The tradition in our family is to decorate the Christmas tree on December 2nd. 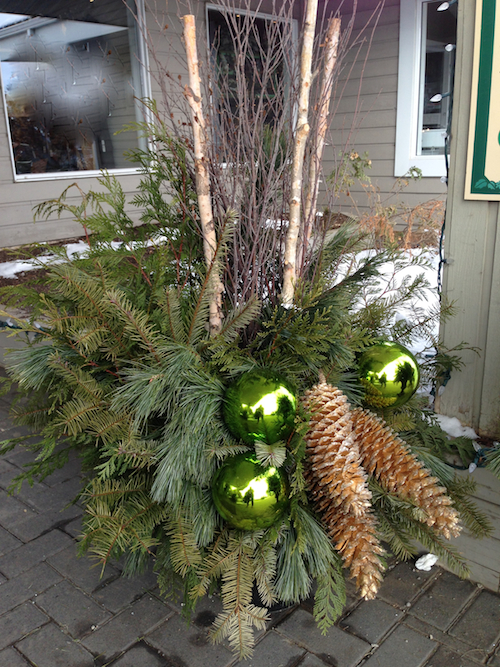 This was my tree from 2013, so check back soon for my 2014 tree. 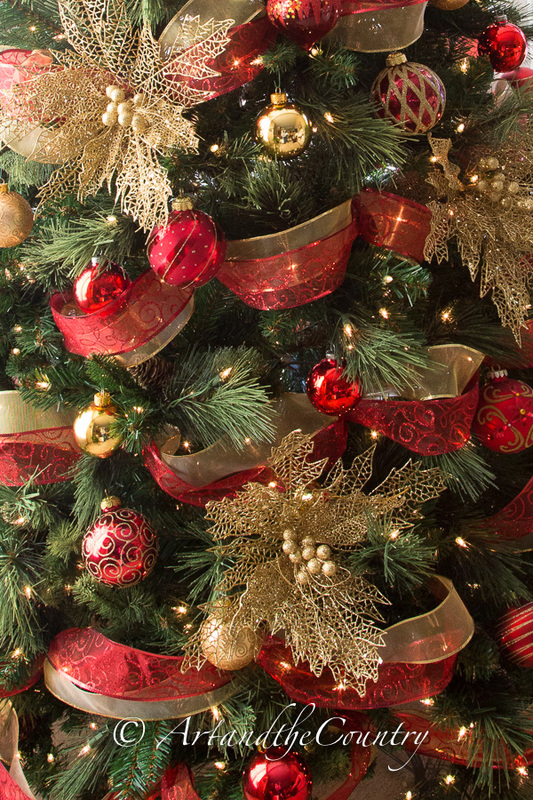 The Christmas tree is usually the focal point of any Christmas decor and also starts many of our family Christmas traditions. 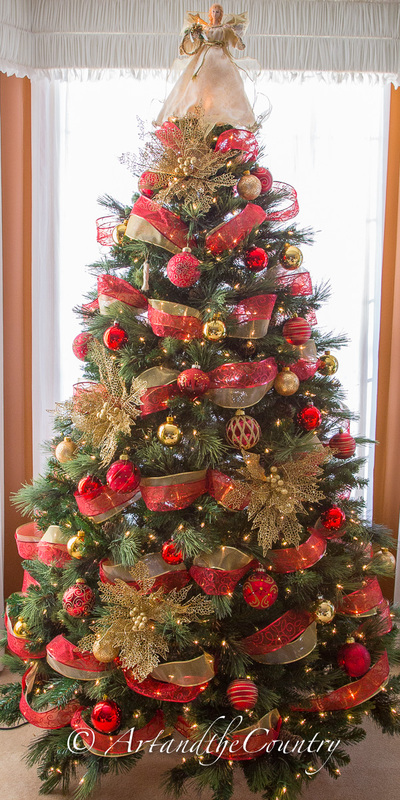 I have always decorated my home with reds and golds. I have too much invested to change my colours now, but I always love when I see homes done in blues and silver or the bold colours of purple and lime green. 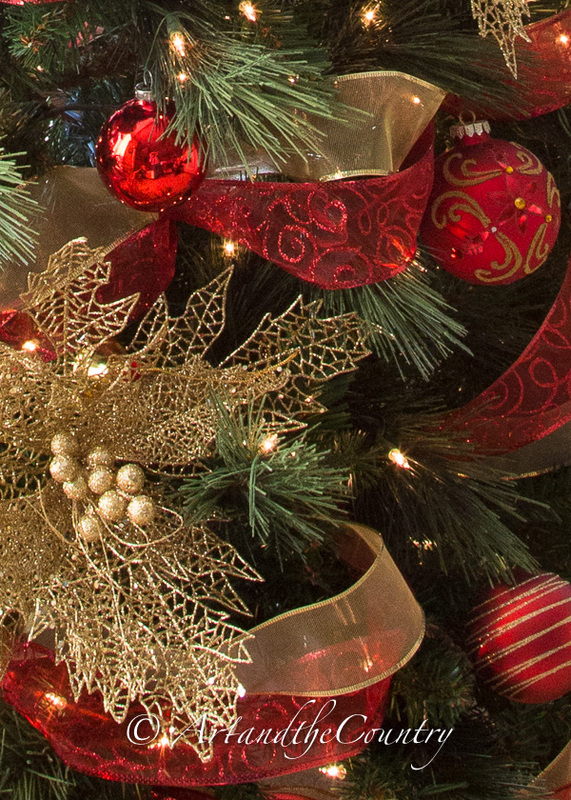 One year I will start from scratch and go with a very rustic theme and hand paint the ornaments. 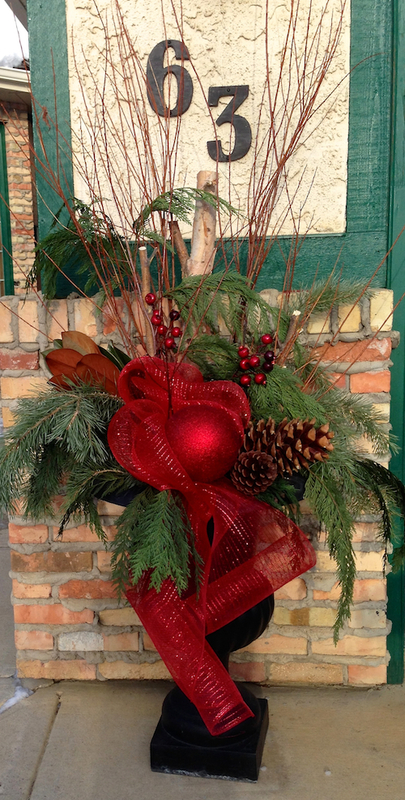 I hope everyone has a joyous season preparing for the Christmas holiday. 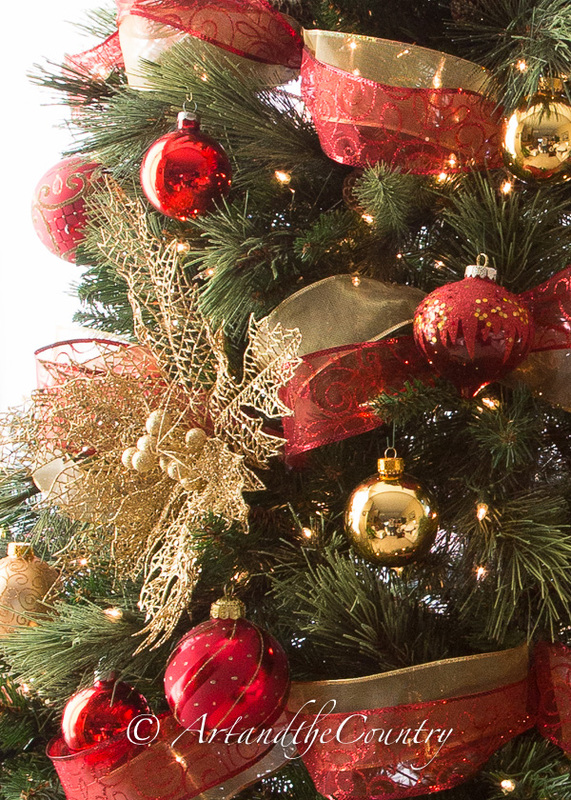 of your home for the festive season. 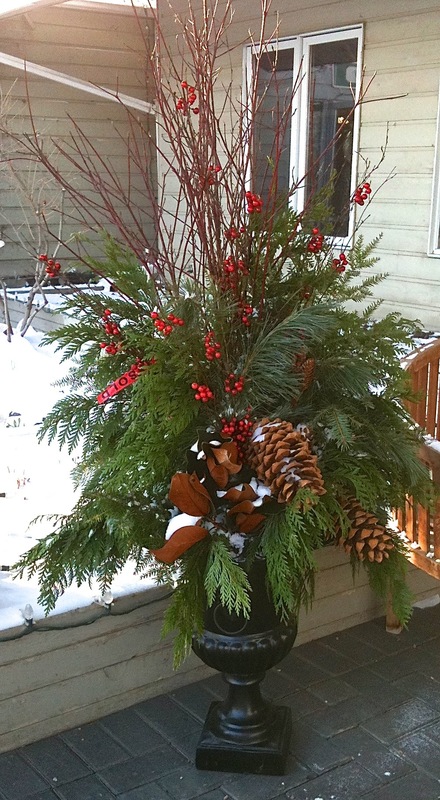 Winter planters create a warm welcome for those holiday visitors. 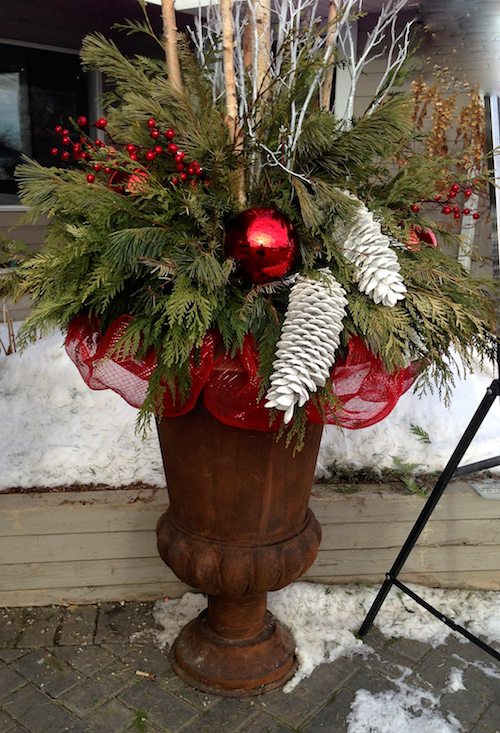 I start my Christmas planters by filling my pots or urns with sand, this makes it easy to stuff branches into place. 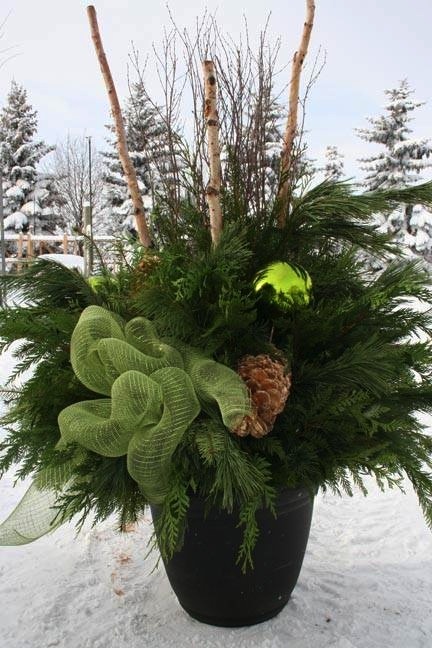 I love to cut greenery such as pine, boxwood and cedar from trees in my yard, then fill in with other greenery from our local greenhouse. 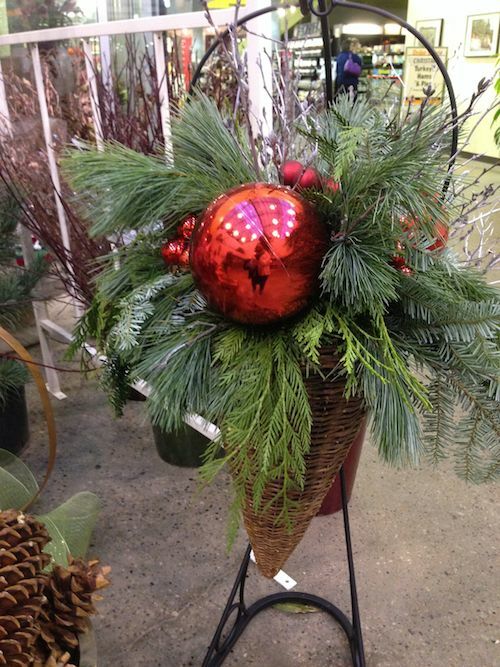 Some things that add beautiful colour are berry sprigs, magnolia leaves, pine cones and Christmas balls. 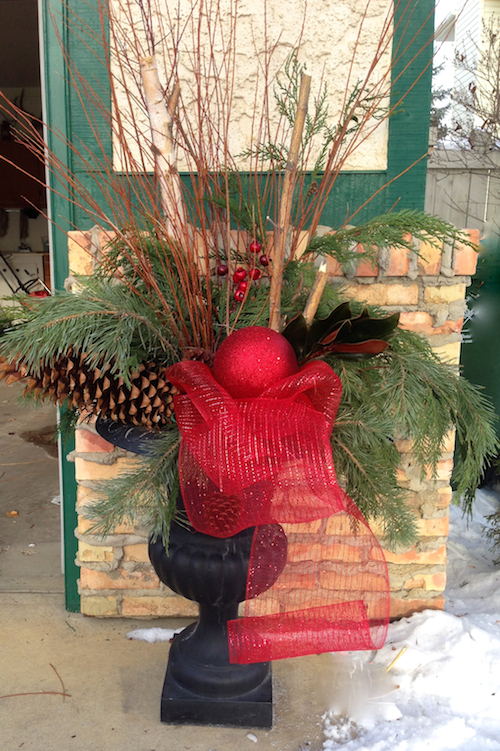 Finish your planters off with bows, ribbon, burlap or decorative mesh. 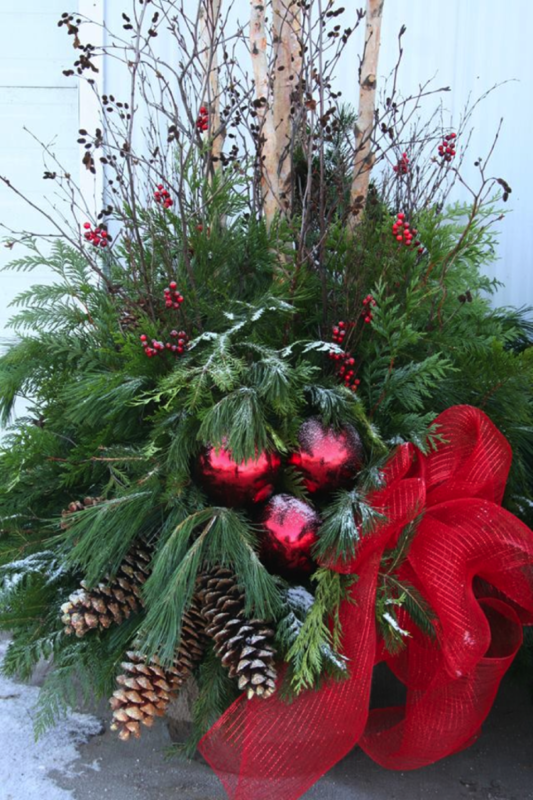 Here are some more inspirational photos to create your own beautiful Holiday Planters.